Selecting a forage without considering how the forage will be used is like a cook who prepares, cooks, and bakes food without giving any thought to who is coming to dinner. An entire meal of desserts may sound interesting and fun to prepare but would not be healthy, satisfying or inexpensive. Finally, the grower must be aware that he/she has certain predispositions that will influence the success of any species. If the grower has experience with a species, that species may be more successful in the short run but a new species may be more advantageous in the long run. If there is a willingness to try something new and a willingness to learn about the management practices beneficial to the new species, surprisingly better results may happen. Ambition, finances, experience, and personal preferences will affect the outcomes. Identify conditions as fixed or variable. Specifically state the need for the forages. Develop a list of possible species selections from personal knowledge and research. Seek information on cultivars and mixtures. The previous model is a wonderful tool for better forage selection. However after a selection has been made, and the forage planted, failure may result. Careful thought should be given to any failure. Often it is not the species that failed. The reason for failure could be some factor that the grower did not identify in the selection model or inappropriate management practices. If failure of a pasture is the reason for reselection and reseeding, then identifying the cause of the failure and rectifying it if possible should be a first priority since this will help indicate the best choice for the new selection. 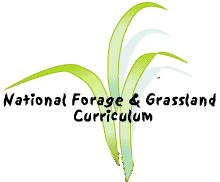 With study of the previous information or tools of forage selection, any farmer or rancher can be successful with the mechanics of wisely choosing a forage crop.